After receiving a panicked plea for help from an orphan named Penny, the Rescue Aid Society springs into action. They might be petite, but Bianca and her shy assistant Bernard, have what it takes to solve this case. So they set out on an adventure to free the kidnapped girl from the clutches of the evil Madame Medusa and her brutish alligator henchmen. Together, they will need their wits to get help from the local swamp folk in order to save Penny and keep Madame Medusa from retrieving the diamond in Devil's Eye. 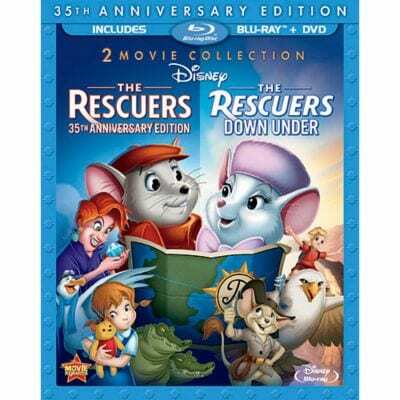 Two brave mice set out on two thrilling rescue missions full of comic adventures in Disney's The Rescuers and The Rescuers Down Under. Have you seen these hidden Mickeys before? Fall for fall with some of our favorite Disney characters.